Essential & Clean Nourishment. Daily. Find Powerful Protein Nourishment in French Golden-Split Peas with​ ​Organic Californian Brown Rice. Our ingredients are garnered from the most premium sources. We’re incredibly dedicated towards it & that’s our mojo. Providing natural protein nourishment with easy stealth all the way. 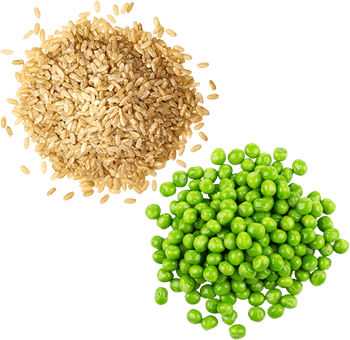 Our pea and rice protein are powerful when combined. Together, they balance the missing elements of each other, creating a winsome blend. Providing all naturally occurring essential and non-essential amino acids (building blocks of protein). These are also a high & fulfilling source for real BCAA’s, Arginine and Glutamine & Glutamic Acid. Ace Blend comes loaded with a Non-GMO​, plant-based protein formula towering above vegetarian proteins with 98% digestibility. Dairy-based products can cause bloating, gas and uneasiness while soy can lead to negative hormonal effects. Ace Blend is smartly designed to work around both with great ease. Consistent consumption of whey, casein & soy can take a toll. Before you notice, it can unleash the growth of allergies, indigestion and intolerance. 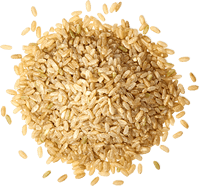 Ace Blend is among the most​ hypoallergenic foods in the world. It’s easy on the system​ and goes about its work effortlessly. Ace Blend is a cholesterol free, low-carb, low-calorie natural powerhouse of nutrition. The extraction of key nutrients from the best earth-based ingredients makes this possible, fitting seamlessly into any and all food plans, at all times. Solely relies on the amount we eat at each meal. Easiest to be deficient in daily needs. Protein is utilized and carries out its functions after every meal. It cannot​ be stored, is constantly being broken down and must ​be replaced. Protein is the most important component of every​ cell​ in your body. It’s the fuel​ that builds and supports all​ healthy tissues and cells. Vital hormones and enzymes​ are balanced and generated by the protein you consume. Your brain’s performance ​is directly affected by the protein quality in your diet​. Simply put, neurotransmitters are made of protein​. Nourish your brain​ and prevent yourself from feeling emotionally unstable. It is the most important​ nutrient for overall strength​. In the bigger picture, quality protein maintains lean muscle mass & preserves the body’s strength as we age​ (which starts to diminish naturally after the age of 30). They are major components of every organ. Your skin, nails and hair are completely built of a structural protein called keratin. Wear and tear due to the daily grind is taken care of with the right consumption. Protein is the most integral​ macronutrient responsible for weight loss and weight maintenance​. To ensure you consume the right amount of the right pedigree, Ace Blend​ steps right in. The energy used to digest​ plant protein causes a high ‘thermic effect’​ in the body. This noble effect burns more calories​, working to keep your metabolism uptempo​. With this comes naturally increased satiety, a reduced craving for unhealthy snacking. Quality protein also naturally helps to balance blood sugar levels​ and reduces sweet and junk-food cravings​. In the long run, it’s the most intensively research-backed​ way of saying goodbye to belly fat​.